Not that you should haves every morning for breakfast, but once in awhile, treat yourself to the world favorite pastry, the "Cinnamon Roll"! Cinnamon is a spice known to man for almost 3000 years. It has precipitated wars and sea battles since its discovery in Sri Lanka. Not only a preservative of meat. The spice is loaded with phenols and therefore bactericidal. Many spices were used to mask the odor and flavor of spoiled meat, but cinnamon actually prevented spoilage. It has been an important drug in Chinese medicine and modern medicine as well. It has been used by the ancient Egyptians as an embalming agent. Originally discovered in the islands of Indo-Asia, it has been found to do welling most tropical climes. The bark is used whole or general usage as a powder. 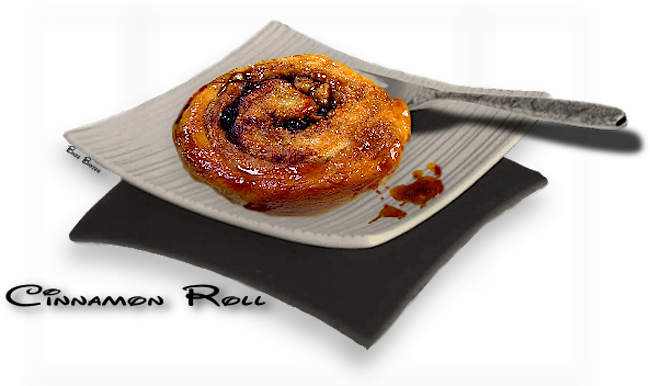 The cinnamon roll is the delicious culmination of thousands of years of experimentation. Enjoy! and place in a warm spot to rise for one hour. together powdered sugar, vanilla and milk, cover and set aside.